I have to confess that I lOVE cake, really. Every time, I go to a wedding, I must have a piece. Naturally, I’ve collected a mental library of my favorite wedding cakes. 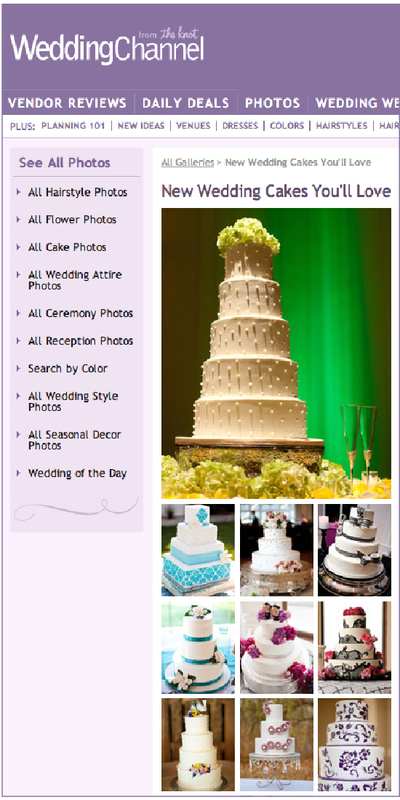 So a few months ago, following my love affair with wedding cakes, I did a wonderful collaboration and took some picture for a fabulous New jersey Cake Designer, Sweet Grace Cake Designs, and we are thrilled to see our work featured as part of the Wedding Channel “New Wedding Cakes you’ll love” slide-show. I hope you love caking cakes too, enjoy.